The MT3S is a bottom coil Clearomizer tank system by Kanger. It features replaceable atomizer heads and has a eLiquid capacity of about 3ml. Unlike other Clearomizers, the mouthpiece of the MT3S is permanently attached and it is filled from the bottom. This three-piece design is a major advantage over other tanks with replaceable atomizer heads. If the MT3S atomizer head fails unexpectedly and the tank is filled with eLiquid, the atomizer head (base) can be easily replaced without the need to drain the eLiquid in the tank first. 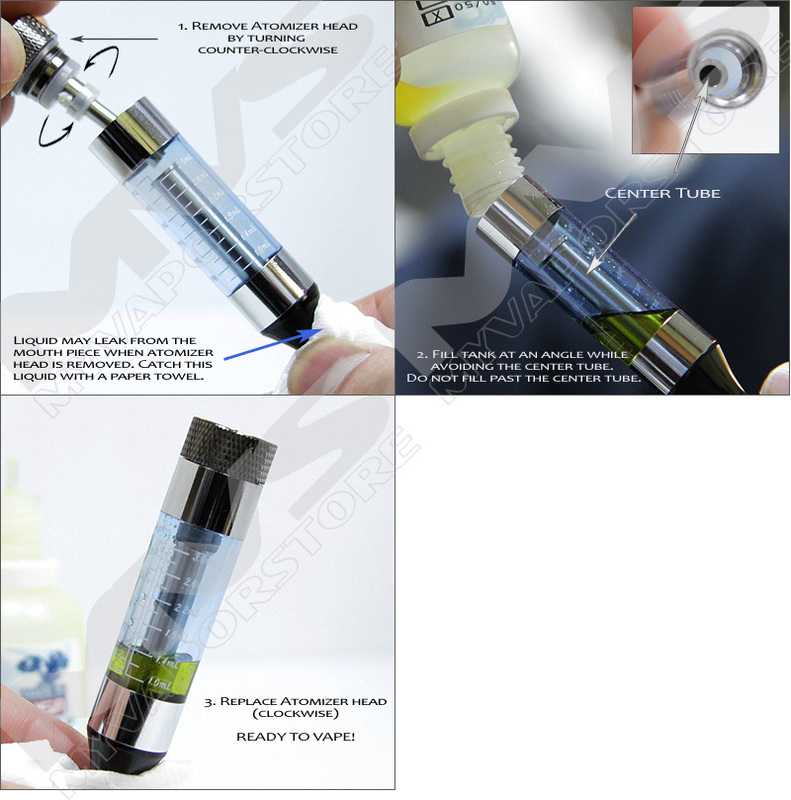 To fill the MT3S unscrew the bottom atomizer head. Hold the tank upside down and fill with 2.4 ml- 3 ml of eLiquid. With the tank mouthpiece-end down, screw the atomizer head back on. Nice to have a good quality atomizer that holds more e-liquid and durable lasting for several months with care and low maintenance. Thank you for carrying this product. These are great for replacing thw wick/coil in my atomizer and are the best prices in the country!